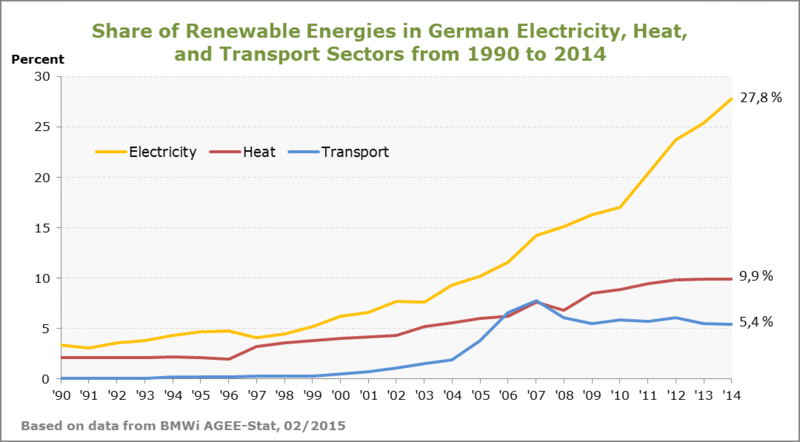 The heating sector is a sleeping giant in Germany’s Energiewende. While the success of the power sector in becoming renewable has been widely recognized, the heating sector is lagging behind – leaving big potentials cut fossil fuel imports and emissions untapped. But why is that so? So far, the rapid expansion of wind and solar power over the last ten years has been the most visible achievement of Germany’s Energiewende (energy transition). 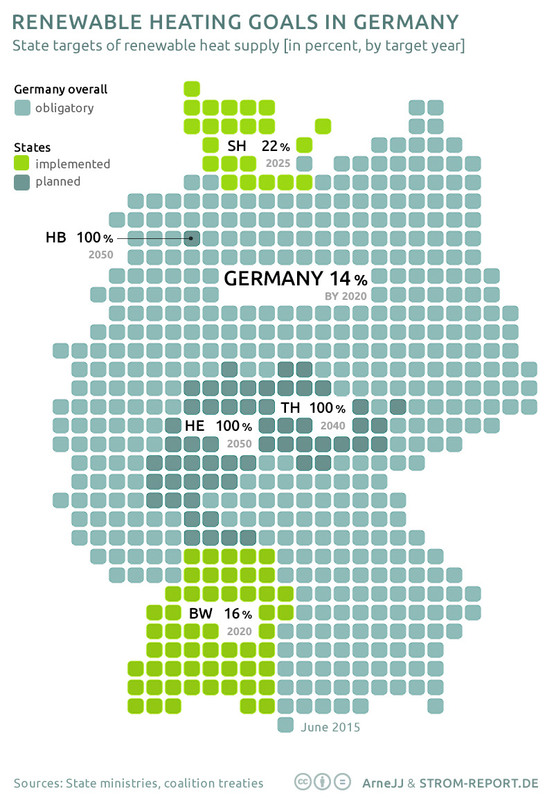 By 2014, renewables already contributed around 28% to Germany’s electricity supply. In comparison, the deployment of renewable heating technologies has stagnated (see graph below). In fact, it looks like Germany has gotten off-track to meet the government’s renewable heating target of 14% by 2020. While the Energiewende success in the power sector has been widely recognized, the heat sector is lagging behind – leaving big potentials to cut fossil fuel imports and emissions untapped. So why is Germany struggling to move forward on renewable heating? 1. With the current sticks-and-carrots programs, Germany’s renewable heating market is set to grow in the short-term. While the sticks have stayed the same, the bucket of carrots was refilled in 2015. The upgrade of the Market Incentive Program, which is to deliver greater funding security, is expected to trigger new investments in the building stock. Therefore, Germany will move closer to meeting its renewable heating target of 14 percent by 2020. Nevertheless, it is questionable whether these efforts are enough in the long-term. This depends very much on the political will and possible budget constraints. Previous years have shown difficulties to provide steady funding for the Market Incentive Program, creating uncertainty among investors. In comparison, investment conditions for renewables in the power sector are more stable. 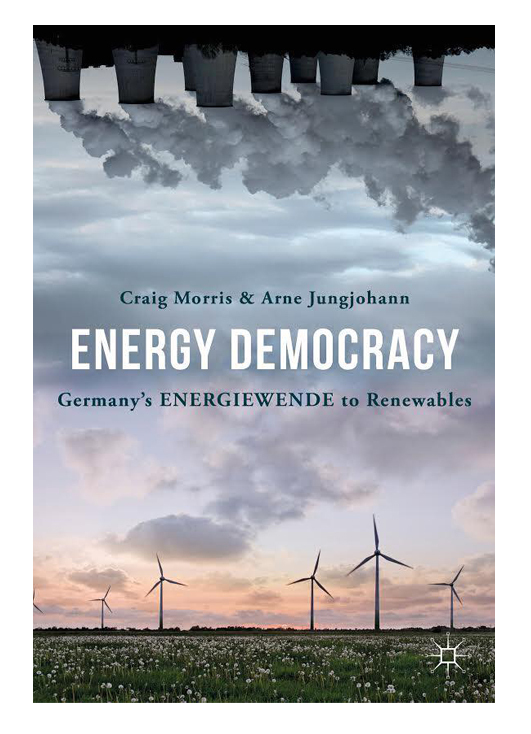 This might explain the considerably greater success of the Energiewende in the power sector. Overall, the current federal policy is not adequate to tap the full potential of renewable energy in the heating sector. 2. For the mid-term, we expect further improvement of the federal policy framework for renewable heating technologies, backed by impulses from the EU. The German government’s comprehensive energy and climate approach already has provided a favorable policy framework for renewable heating technologies. After all, the Renewable Heating Act was only implemented as part of the Integrated Energy and Climate Programme as an overall climate strategy. The goal of the expansion of renewable heating technologies is to bring down emissions of the heat sector. In addition, the advancement of the EU’s 2030 energy package will eventually result in more efforts by EU member states such as Germany to advance renewable heating technologies, including setting targets beyond 2020. From the domestic Energiewende discourse pressure will grow on the German government to develop a more comprehensive approach for renewable heating. Such an approach could integrate efficiency, system technology, urban planning and social aspects. The biggest potential is seen in expanding heat networks as it opens the door for a variety of renewable sources and offers synergies between the power and the heat sector. The federal level could support municipalities in developing urban heating and cooling maps to identify local heating sinks and sources. For these reasons, we expect an improved federal policy framework for renewable heating technologies in the mid-term. 3. There is no one-fit-all-solution for renewable heating policies. German states serve as examples for a variety of policy and technological approaches on renewable heating. As a frontrunner, Baden-Württemberg introduced legislation on renewable heating well before federal or European laws were passed. Likewise, Schleswig-Holstein shows the functionality of focusing on municipalities and district planning. Germany and its federal structures therefore showcase the need to adapt the use of technologies towards local and regional structures. The policy framework needs to be designed accordingly. Click here [PDF] to download the paper.